We have been fishing this fly for quite a while now and really like it. Alot of flash and motion and certainly the right colors going on as well as some incredible action. 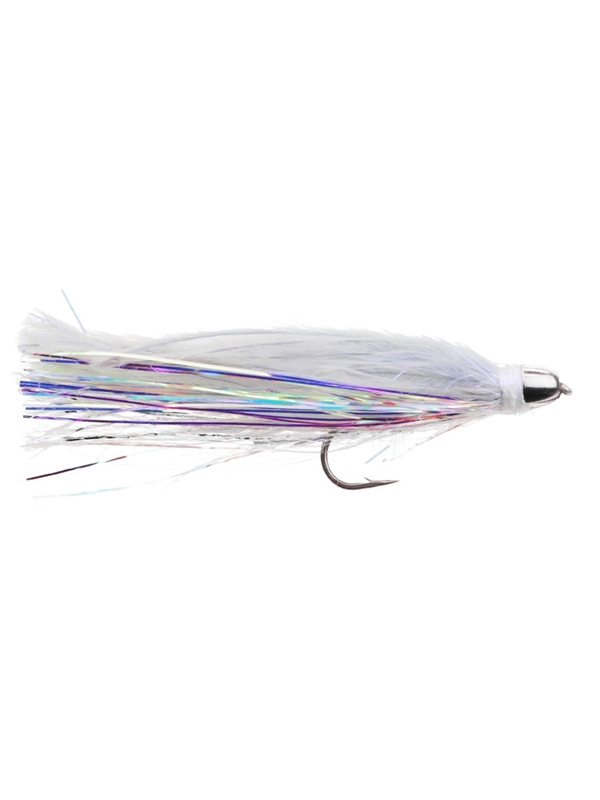 The Skiddish Smolt has become one of our top selling non-articulated streamers. We have been fishing this fly for quite a while now and really like it. Alot of flash and motion and certainly the right colors going on as well as some incredible action. We originally picked this fly up as an Emerald Shiner pattern for steelhead in the olive color and then added it in the natural/shad color.. For a few seasons now we have done very well with it when the fish are in the mood to chase a streamer. In fact, it has become a "go-to" fly for several of our guides. We have also been using it for trout and smallmouth as well though. Really just a killer little streamer pattern. Skiddish Smolt streamer pattern sold here in natural in a size 4. This fly is approximately 3" long.